Budgeting with a purpose, zero-based budget style! Do you currently spend every penny you make? 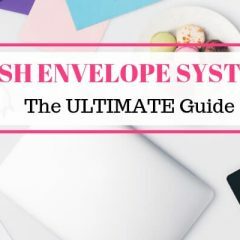 What if I told you I had a budget system to help you save money and still spend every dollar you make?? If you think I’m crazy just hang on for a second, we’ve been doing this for years and manage to save 15% of our income each month. I’m talking about using a zero-based budget. 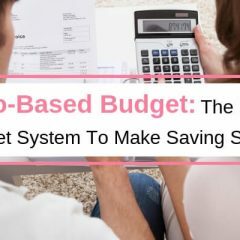 Have you ever heard of this budget system? Let me tell you it’s super simple. You can’t really spend every penny you make and expect to succeed at budgeting. With a zero-based budget, you are telling your money where to go. Some of it you will spend, but some of it you’ll save too! The important thing is that you give every dollar a home. Are you ready to tell your money exactly where to go, every month? 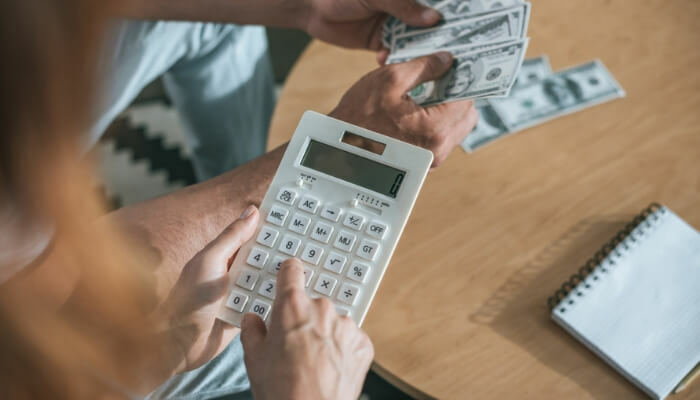 Zero-based budgeting is essentially taking your income minus your expenses and any saving you want to do and having it equal out to zero. Let’s say your income is $2459 for the pay period. Next, add up all of your expenses such as bills or money you are planning to give or save. If your income is $2459, you want your expenses to equal $2459 as well. What you are doing here is giving every dollar a home! Before the new pay period even starts, make sure every dollar already has a home to go to! Here is an example of what my zero-based budget looks like for the next two weeks. 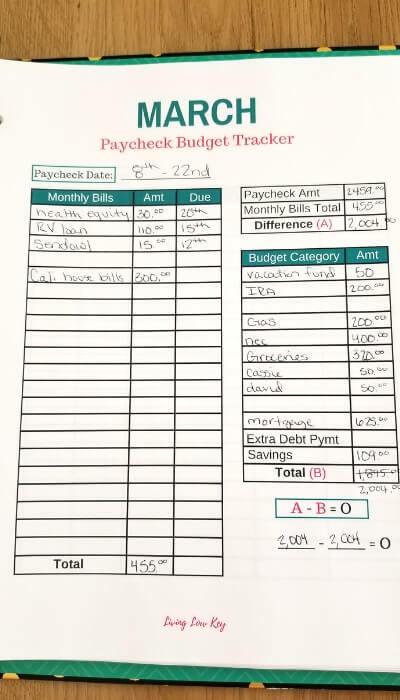 We use our personal Budget Binder to keep track of our spending. The Budget Binder makes it super simple to track your finances. 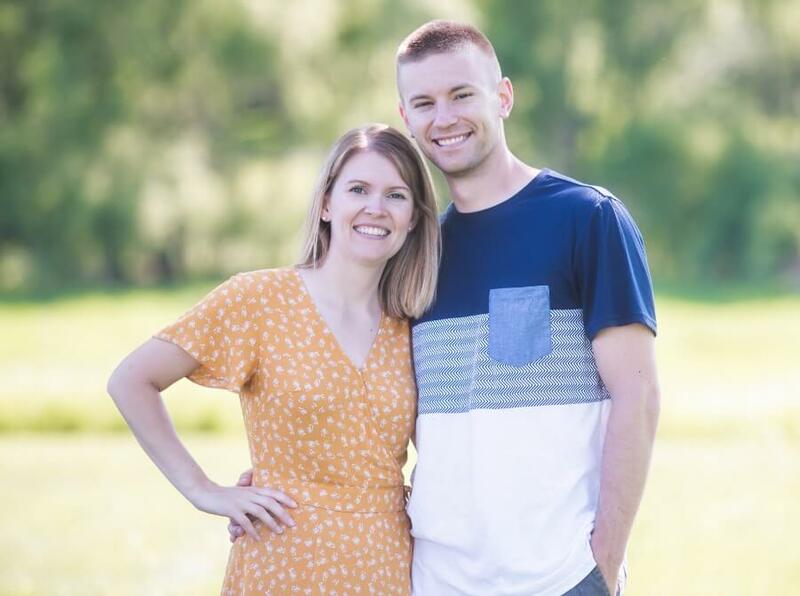 Budgeting our money has enabled us to pay off debt and save over $100,000 while in our early 20’s. This binder has played a HUGE PART in our success! Grab your copy of our 2019 printable BUDGET BINDER HERE! I personally make a new budget every two weeks. I find it harder to budget more than two weeks out because random expenses could pop up. Those unexpected expenses cause me to have to go back and redo my budget again. It’s just easier to plan for 2 weeks at a time, that’s why our Budget Binder has 2 of the budgeting spreadsheets for each month. However, if you want to make your budget out for a whole month that’s perfectly fine. Whatever works for you is all that matters. I just want you to know there are other options if creating a “monthly budget” hasn’t been worked for you in the past. It’s time to get into creating your zero based budget. It’s going to be easier than you think. If you need even more help with budgeting, fill out the form below to be enrolled in our FREE Budgeting Course. 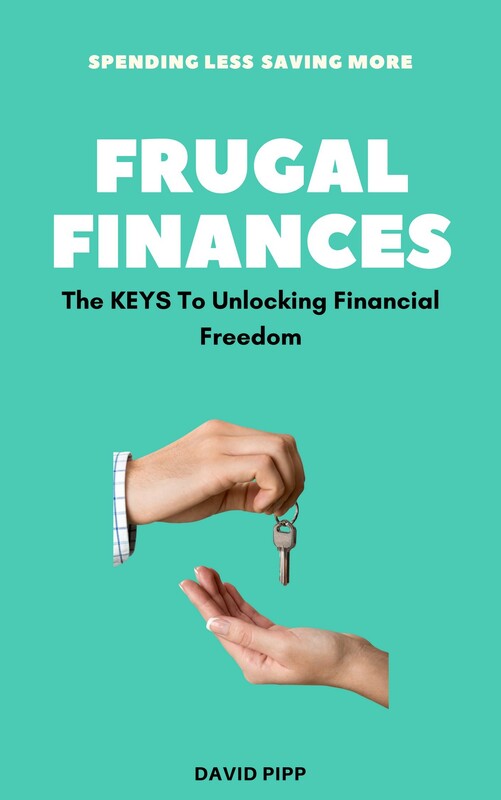 It’s designed to help you build a budget in 5 simple step-by-step lessons. The very first thing you must do when figuring out your zero-based budget is to figure out your income! 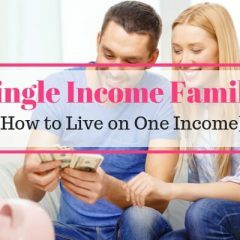 Are you a single income household or do you have a dual income? Make sure you add your significant others income as well. Do you have a side hustle? Or any other job you make money from? If so, add it all up. Tracking your income is an essential part of budgeting. A simple piece of paper and pen will do just fine. That is how we started in the beginning. Now that you know how much money you make, it’s important to figure out how much money you’re spending. If we want to balance this budget, we have to make sure what comes in is more than what’s going out. Start by writing down your bills for the month. If you’re unsure of what bills you have or how much you pay, head over to your online bank account. From there you can look at previous months to see which bills cost what, as well as what days your bills are due on. I don’t think I would have the success I’ve had with budgeting if I didn’t have access to my online bank account. I literally check my bank account once a wee to make sure an expense hasn’t gone through that I didn’t account for in my budget. This is the fun part of the zero-based budget system. This is where you get to tell your money where to go. Subtract your expenses from your income, what’s left over? Hopefully, there is something left over! If not, you need to join our free budgeting course here. If you find out that your expenses are greater then your income you need to find a side hustle real quick or figure out what expenses you can get rid of. What do you do with the money you have left over after your monthly bills? Let’s pretend you have $400 left over after your expenses are paid every month. You aren’t done budgeting yet! You still need to tell those $400 dollars where to go. Lets say you are wanting to invest for retirement, give, and save for an up and coming trip this month. You could then add $200 to your investment account, give $50 and save $150 for your trip. This is obviously just an example of what you could do with your $400 but that should set your income minus your expenses equal to zero. You want everything to zero out! I love this method because every dollar goes where I tell it to go, as soon as we get paid. If you leave money in your checking account and it doesn’t have a home, you’re going to SPEND IT! So what do you think.. Do you want to give zero-based budgeting a try?? 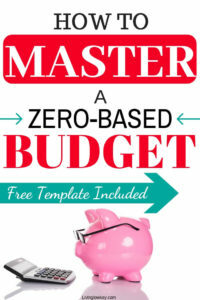 I thought you would, so I created this awesome zero-based budgeting template just for you!! GRAB YOUR FREE (printable) ZERO-BASED BASED WORKSHEET BELOW! Like any kind of budgeting tool you will use there are pros and cons. What it comes down to is what works for YOU! What is the advantage of a zero-based budget? The biggest advantage of zero-based budgeting is that it accounts for every last dollar! 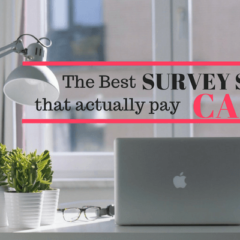 It is one of the most popular types of budgeting for a reason, it works! I’ve tried just about every budgeting method myself and this budgeting method saves me the most money every month! Most budgeting methods have you budget for just your bills, but then it ends there. This leaves money unaccounted for in your bank account. Sure you might tell yourself you are going to use that extra money to pay off debt or save, but more than likely you’ll end up spending it. What are the disadvantages of zero-based budgeting? With any budget, there is a time commitment involved with zero-based budgeting. You need to allot time every pay period or once a month, depending on if you budget by paycheck or monthly, to work on your budget. For some, it’s hard to make this time commitment. A lot of people start budgeting expecting instant results and that really isn’t the case. It might have taken you a short period to rack up debt but it is going to take a long time to see results in paying it off. However, if you stick with the zero-based budget you will get there! Who can use a zero-based budget? Good news, the zero-based budget can be used by anyone! If you haven’t already, give it a try today. 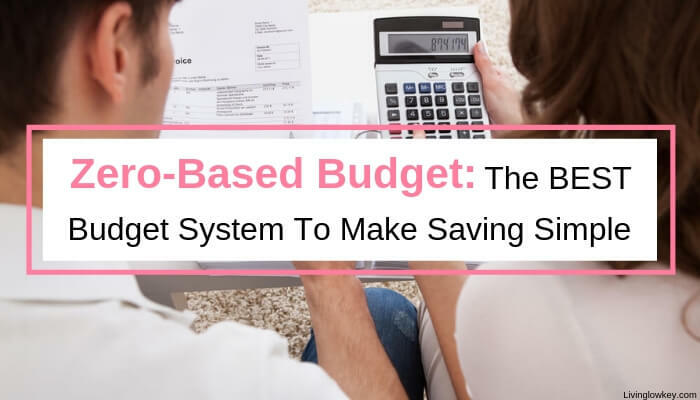 This budget system is great for people who lack spending discipline because it doesn’t let you have extra money laying around. 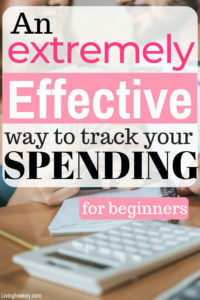 If you take the time to use the zero-based budget and track your expenses accordingly, it works. How is zero-based budgeting different then a traditional budget? A zero-based budget can be more complex than a traditional budget, because you are keeping track of every last penny! Don’t be afraid of this budget style though. It works great! How can a zero-base budget help you? If you can’t account for where your money goes every month, then the zero-based budget is for you! Before I started used the zero-based budget I had what I thought was a good budget, but I wasn’t sure where my money was actually going. Like I’ve said before, this type of budget will tell you where every dollar goes, every pay period. This is great if you are looking to pay off debt or save for a future expense. You will be able to see areas where spending wasn’t or isn’t necessary so you can free up money you already have. If you enjoyed the article make sure to save it for later! Are going to give the zero-based budget a try? Let me know below!